This post brought to you by Atlantic Luggage. The content and opinions expressed below are that of Mom Fabulous. Last summer, our family traveled a lot and it was one of the best summers we’ve had yet. 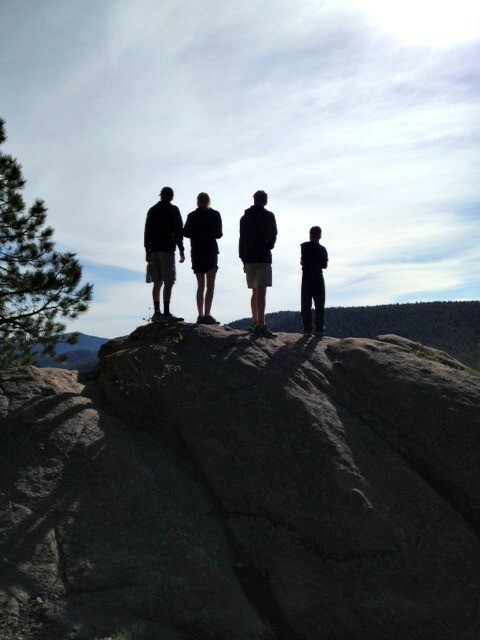 We went to Colorado and California, plus my two oldest kids went to Honduras. Needless to say, we’ve been bitten by the travel bug big time and just want to go, go, go – and see the world. This summer will be a little more low-key, unfortunately. 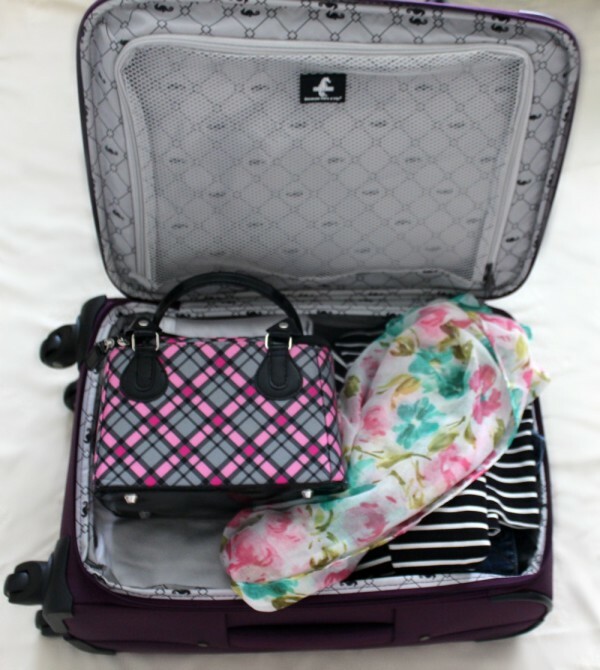 With all that traveling last summer, the fact that we used to be military and packing was life and I traveled around Europe when I was 18 and 19 – I know a thing or two about how to pack. For me, the key is to pack items that are interchangeable to create multiple outfits with just a few pieces. Plus, the right luggage is incredibly important as well. I recently received a piece of Atlantic luggage and I’m super excited to put it to good use with a few weekend trips we have planned. If traveling is something you would love to do with your family, then you’ll really want to enter this sweepstakes Atlantic Luggage is hosting. 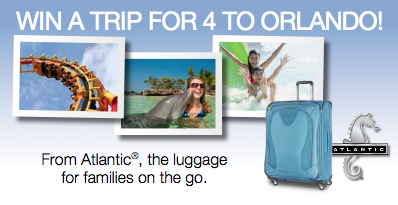 You could win a family trip for four to Orlando! The trip includes round-trip airfare for four, 3 nights of hotel stay, four two-day admission passes to 34 of Orlando’s best attractions, $150 spending money and 4 carry-on pieces of Atlantic luggage. Sign me up! Keep reading and I’ll share with you how to enter. 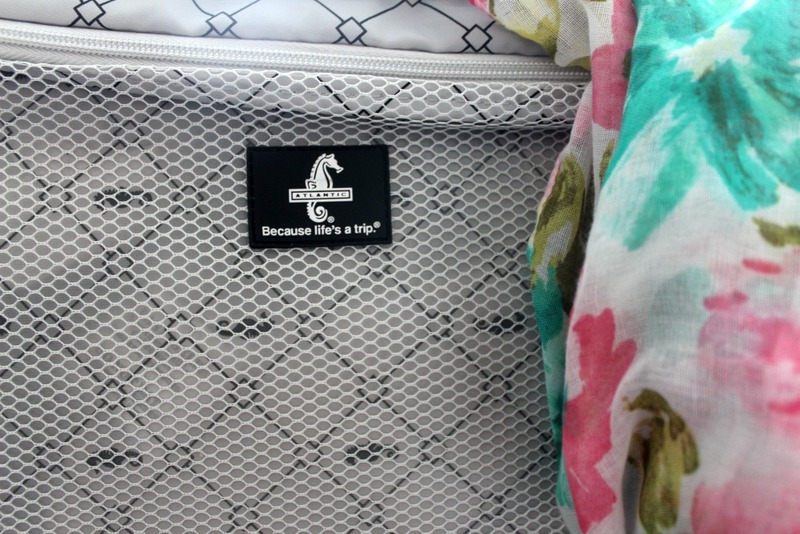 Plus, there’s a blogger hosted giveaway as well! Again, my goal is less is more with the ability to create multiple outfits. The picture below is 8 pieces + 3 pairs of shoes that can create 8 different outfits. There are: two pairs of jeans, two tops, two dresses, denim jacket, scarf, wedges, booties and flats. Both tops can be worn with both pairs of jeans. The dresses can be worn alone, with the scarf or with the denim jacket. I can wear the pink flats with both dresses and tops to add a splash of color. Needless to say, you don’t need very many items to have a travel wardrobe you’re proud of. Here’s how I put the 8 pieces of clothing and 3 pairs of shoes together to create 8 different outfits. I have a few weekend trips planned, one which requires flying and one driving. I need the least amount of luggage for both trips. 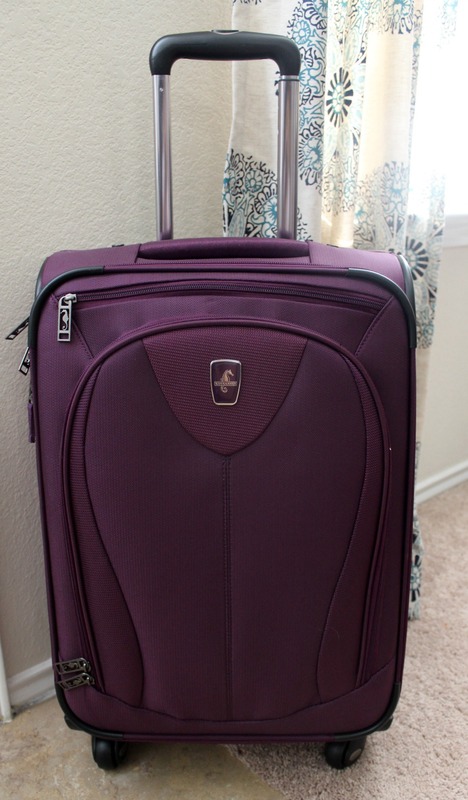 The Atlantic Ultra LITE 3 luggage piece I received is so lightweight (only 7.2 pounds!) and is perfect for families on the go like ours. The spinners on bottom move 360 degrees and effortlessly roll in any direction you need it to go. The retractable handle has two stopping points (38″ and 42″) which is brilliant to me. It also expands up to 2″, maximizing packing space. It expands on the lower half, which keeps the bag from tipping forward. Have you had as many bags as I have that once you let go, they fall forward? So annoying! And they all seem to do that. Inside there’s a full size mesh pocket that helps keep pressed shirts and pants wrinkle free, as well as two straps to help keep clothes in place. 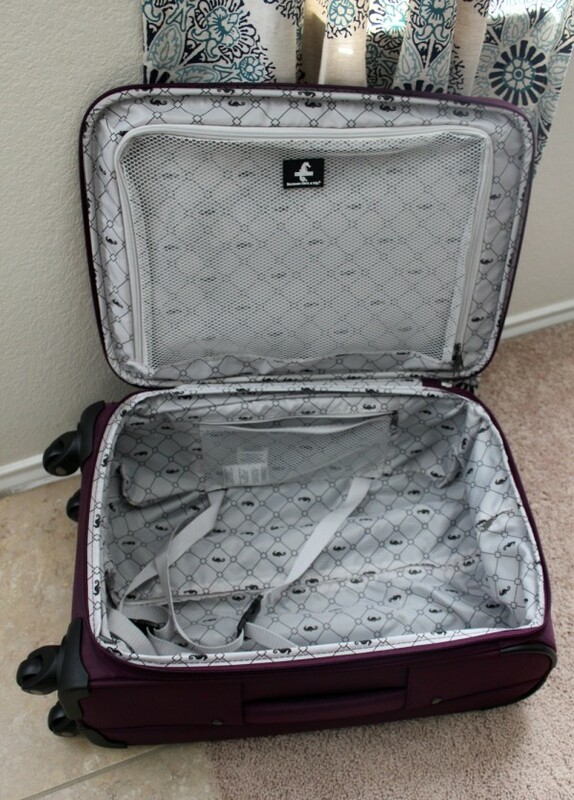 I also love the fact that the piece I have is a carry-on size. Go here and fill out the sweepstakes form. Don’t leave just yet! 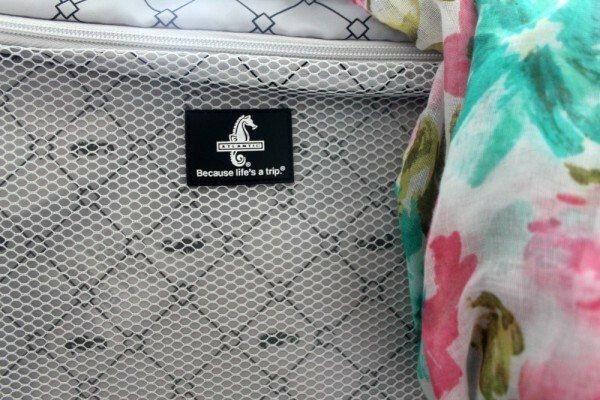 Be sure to enter this blogger hosted giveaway for a chance at winning a 3-piece set of Atlantic Ultra Lite 3 Luggage. Are you traveling anywhere this summer? Share a packing tip with me! I would love to hear them. While I will not be traveling this year my oldest is moving away and will require traveling. My one tip is to make sure anything that can leak is sealed in two ziploc bags to ensure safety. I’m something of a whiz at packing myself. 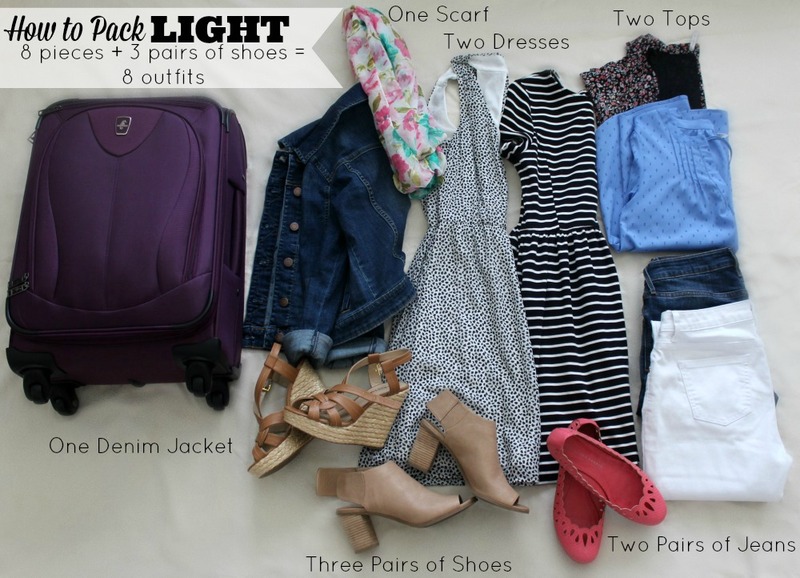 I always pack 4 tops, 4 bottoms (only one pair of jeans – those puppies are heavy), one pair of shoes, a swimming suit, and a lightweight jacket. I wear the jeans, heaviest shirt, and jacket on the plane. This configuration has taken me from heat of equatorial Africa to Eastern Europe with snow on the ground – same trip, same wardrobe, and I comfortably transitioned from one to the other. Now we have kids; and we often fly overseas with just our carry-ons. My husband isn’t a light packer, but neither one of us wants to carry a lot of bags; so I’ve perfected the art of getting clothing for me and our two children (who do need more clothes than my 4+4 system) into one carry-on weighing about 7 kilos. We prefer to check bags; but if the airline will charge a fortune for it, we make do with carry-ons. My big tip is to roll clothes. They take up a lot less space that way. I need these tips! I’m your classic overpacker!